Osteoarthritis is a disease process that can affect any joint but most commonly affects the large, load-bearing joints such as the hips and knees. It can occur at any age but is most common after the age of 40 or following a significant joint injury. It affects all the structures of the joint including bone, cartilage (joint surface), tendons and ligaments. It was once thought to be a wear and tear injury but there is now evidence to suggest it may be the consequence of a joint trying hard to repair itself. The severity of symptoms experienced does not always correlate with radiographic findings. There is a body of research that suggests that exercise can help improve the quality of life for those living with arthritis. By increasing muscle strength, the load is taken off the joint to some extent as the muscles act as shock absorbers. Also, increased muscle strength helps to improve joint stability. These improvements in strength can aid in the reduction of pain and/or improved function. 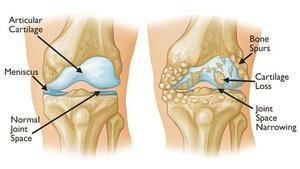 Although exercise may not alleviate the need for a joint replacement it may help to postpone the need for surgery. It can also make the individual stronger and therefore put them in a much better position for recovery post-surgery. It is important the you seek the advice of a medical professional prior to beginning an exercise program to ensure that it is safe for you. Your physiotherapist can work in conjunction with your GP or specialist to ensure you are performing safe and effective exercises for your particular needs.